What are the Nearest Stars to Earth? The nearest stars to Earth are in the Alpha Centauri triple-star system, about 4.37 light-years away. One of these stars, Proxima Centauri, is slightly closer, at 4.24 light-years. Of all the stars closer than 15 light-years, only two are spectral type G, similar to our sun: Alpha Centauri A and Tau Ceti. The majority are M-type red dwarf stars. Only nine of the stars in this area are bright enough to be seen by the naked human eye from Earth. These brightest stars include Alpha Centauri A and B, Sirius A, Epsilon Eridani, Procyon, 61 Cygni A and B, Epsilon Indi A and Tau Ceti. Barnard’s Star, a red dwarf 5.96 light-years away, has the largest proper motion of any known star. This means that Barnard’s Star moves rapidly against the background of more distant stars, at a rate of 10.3 seconds of arc per Earth year. Sirius A is the brightest star in Earth’s night sky, due to its intrinsic brightness and its proximity to us. Sirius B, a white dwarf star, is smaller than Earth but has a mass 98 percent that of our sun. In late 2012, astronomers discovered that Tau Ceti may host five planets including one within the star’s habitable zone. Tau Ceti is the nearest single G-type star like our sun (although the Alpha Centauri triple-star system also hosts a G-type star and is much closer). The masses of Tau Ceti’s planets range from between two and six times the mass of Earth. What is the far side of the Moon? The far side of the Moon is the hemisphere of the Moon that always faces away from Earth. 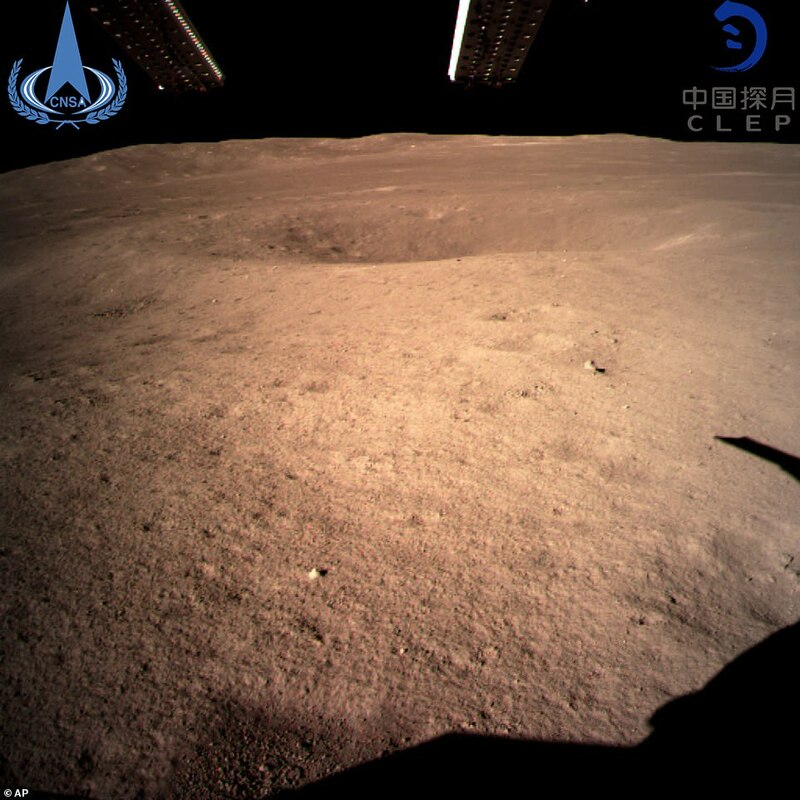 A never-before-seen ‘close range’ image taken by the Chinese spacecraft Chang’e-4 of the surface of the far side of the moon. It appears to take on a reddish hue in some of the images released by China, seemingly an effect of the lights used by the probe. The Chang’e-4 lunar probe mission – named after the moon goddess in Chinese mythology – launched last December from the southwestern Xichang launch center. 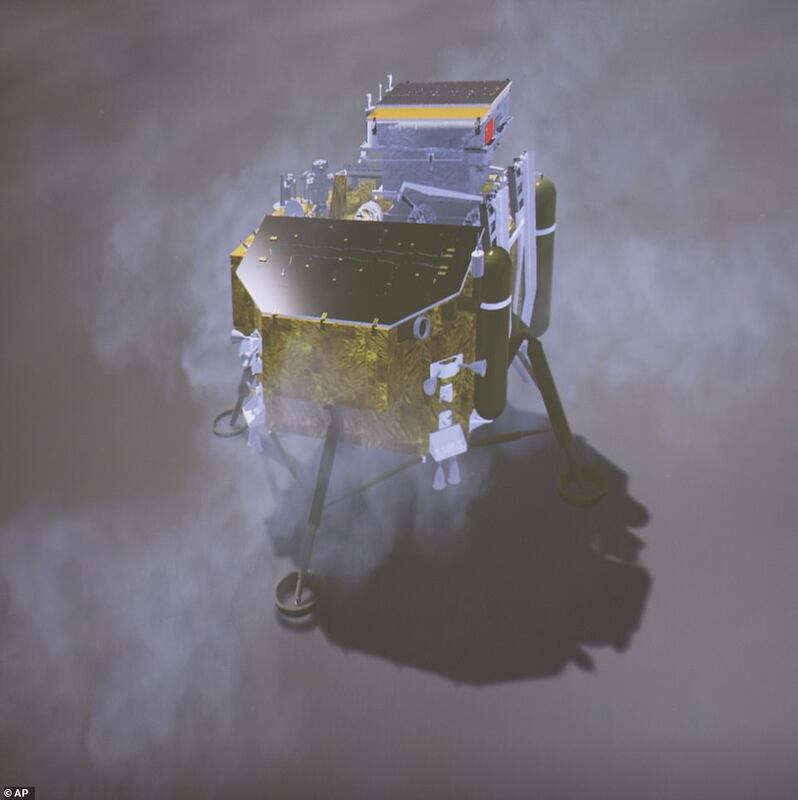 December 7 2018 – Chinese space agency announces it has launched the Chang’e-4 probe into space. December 12 2018 – Retrorockets on the probe fired to stabilise the spacecraft and slow it down. December 31 2018 – The probe prepared for the first-ever soft landing on the far side of the moon.